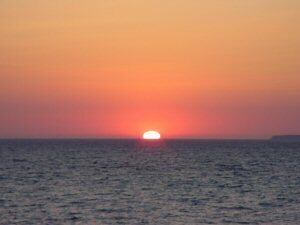 Make the most of your holiday and discover some of the wonderful sights and delights we have here in Kos. It is in our interest for whoever comes to the island to visit to have the opportunity to do at least one trip or tour with us, so we can show you the best of what this delightful island has to offer. Unlike most tour operators we don't work with mass tourism, therefore you know in a small group the quality you'll get to enjoy a day or night out is far better. We listen to everyone of our customers over the last so many years and do our very best to offer what they want.It is for this exact reason we get so many returning visitors year after year doing the same trips and tours with us again and again! Not only this but our prices will not be beaten. Our aim is to offer quality tours at very affordable prices. We work as a direct sell agency, therefore you are the ones getting the savings. Why pay more when you can get the same and better for less? We'd like to prove to you that our enthusiasm about the island and our service to all visitors on the island is second to none! Be it myself Louise or my husband Nikos, Dorotta in the office we'll all do our very best to ensure you enjoy each and every day of your holiday.If you do enjoy yourselves with us please do tell others about us - if by chance you don't then please tell us! A great combination of a day, sight-seeing, learning all about the natural sponge as well as topping up your tan on the boat and on the beach at the end of the day. You get the chance to enjoy your own free time in Kalymnos before meeting to visit a small family workshop to see the process of the natural sponge. Lunch is next, included in the dayout we take you to our regular customers favorite spot - Vathi, where you'll be served in a seafront taverna , where you'll enjoy peaceful and quiet surroundings in an idyllic spot. Cruising via Plati we'll then anchor in Pserimos and have time to enjoy the rest of the afternoon either swimming in this secluded sandy bay or chilling out in a café on the sands of the beach itself. 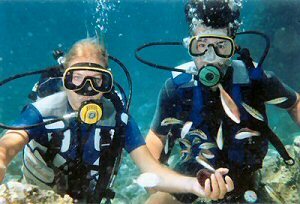 For those who enjoy snorkeling it's here that you'll find shallow water sea life and we have our own snorkels on board for your use. Our best seller - without a doubt you'll have a great day out! A volcanic experience ... step back in time "to the land that time forget". We cruise to the island by the shortest route from the southern resort of Kardamena and arrive in just 50mins. The journey to the actual volcano will take some 20mins. It takes you up over 2000ft into the breathtaking terraced hills, before beginning a dramatic descent into the valley below where the crater lies. You'll have the opportunity to walk in the actual crater and see for yourselves the hot air hissing and exploding out in certain areas-the most amazing experience for all and truly educational for children. You have time too to enjoy your own free time to wander Mandraki streets - the capital. Those who don't mind a hike can make their way up the 200 steps to visit the tiny monastery perched on a rock hanging over the sea. A day of great experience, a different discovery and free time to explore yourselves too. Enjoy a full day out in Bodrum, a shoppers paradise! By far the best way to spend your time here is with free time to yourselves. It is for this reason we give you all there is to know and where to go with a plan of the town giving you the best opportunity to make the most of your time there. Many will enjoy visiting the sights too, not just shopping. Market day in Bodrum is a must for great bargains. The market is on all day once a week, a busy day, but full of atmosphere too as the locals go there in full force to get their bargains too. Some will prefer to visit on a non market day which we arrange too. Either way you choose what you want to do. Destress with a Turkish bath and massage, discover the ancient sites. Whatever you decide you'll have a delightful day out. See the spectacular sunset from the highest mountain village, Zia. This is something many enjoy doing a couple of times on holiday. An evening out of resort, a change to visit a mountain village to enjoy an evening meal washed down with at least a couple of glasses of wine and know you're going to be taken to your hotel at the end of the evening. A meze meal here is your best choice, lots of small plates to try. Enjoy free time and browse around the many craft shops displaying lace, pottery, herbs and spices amongst many other local products one can buy. A whole day in Paradise ... crystal, clear blue waters of the Aegean. Go in and serch for the bubbles, like a natural Jacuzzi in the sea! The activity from the volcano on nearby Nissyros appears in areas under the seabed here…. Therefore the pressure of air forcing bubbles to ooze in areas where you have the opportunity to "chill" and enjoy this amazing experience in a natural environment as one would in a Jacuzzi. Enjoy a full day in "Paradise…" a great day to top up that tan at a very affordable price for all. Join us for a great evening out full of entertainment at the venue of "Fantasia" in Zia. Wine, dine and dance as the musicians play and the Greek dancers entertain us. Throughout the evening dances and costumes vary from around the Dodecanese Islands to a few special dances from Crete. It's up to you if you want to join in, some prefer to sit back and enjoy to sit and watch; even have a laugh at the others trying to keep up in time with the music. We head down to Kamari Bay where we join Captain Gianni and his boat for a full day out. It may be something you've never done before, then this gives you the chance to learn Greek style. As well as fishing you get chance to top up the tan on the boat and on the beach in the afternoon. A BBQ in a secluded bay with drinks included.A fun day out for all the family. A full day out in Rhodes, the largest of all the Dodecanese Islands. With at least 6 hours to spare, we'll give you our information sheet which helps you plan your day prior to getting there. The old town is a maze of stone, cobbled streets, amongst ancient ruins you find a mixture of museums, craft shops, quaint cafes and traditional tavernas. It's up to you how you spend your day, whichever way were sure you'll hold the memories for many years. 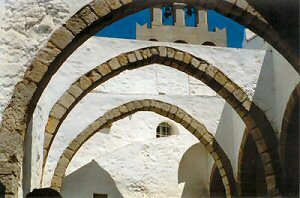 A full day out visiting the Holy Island of Patmos with free time to yourselves. A visit to the Monastery - Saint John The Devine - should not be missed and on the way there a stop at the cave of The Apocalypse is worth a visit too. The most picturesque island of my choice in the Dodecanese, a photographers delight and a place that many want to return to. We'll give you the best advice and our information sheet helping you spend your time wisely.